“The first this, the oldest that” begins Lonely Planet’s description of St. Augustine. 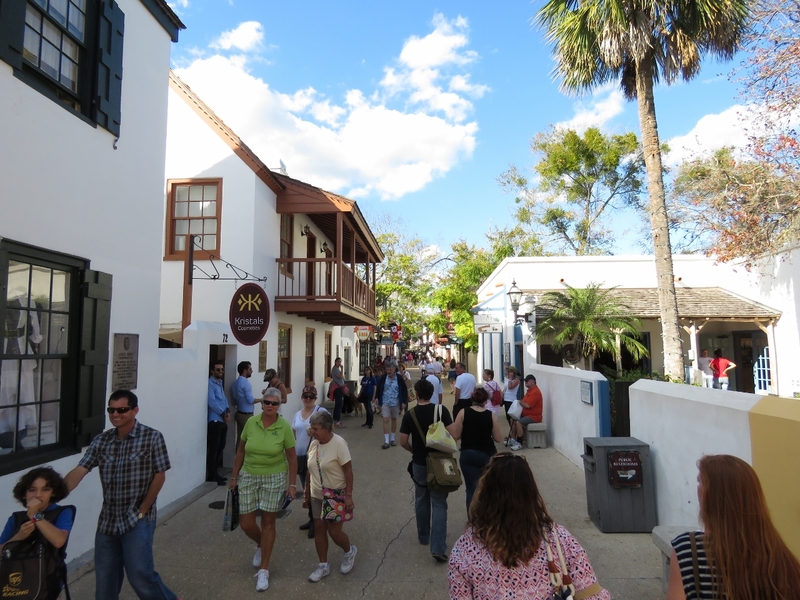 The town the Spanish founded in 1565 retains dozens of historical buildings ranging as far back as the Spanish era and now is a popular tourist destination. We spent two night anchored off town, enjoying the sights from the water and ashore. 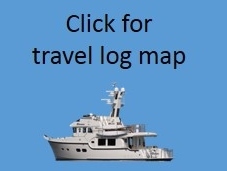 We left Cumberland Island at 5am today to reach St. Augustine Inlet at high tide. 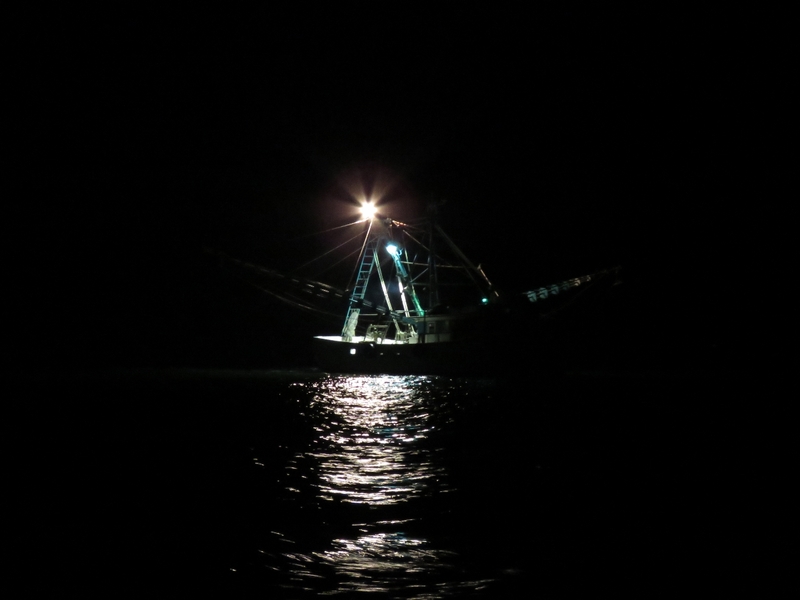 It was still dark as we passed this fishing vessel working St. Marys Entrance. St. Marys Entrance is at the border between Georgia and Florida. 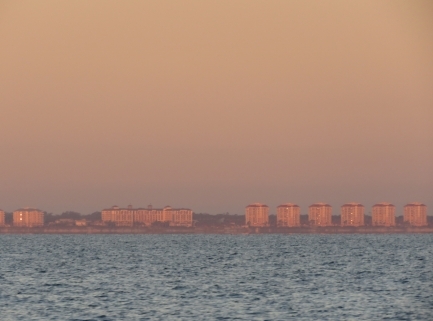 As soon as we had some daylight, we noticed that the coast had changed from Georgia’s mostly undeveloped coast to rows and rows of apartment buildings. 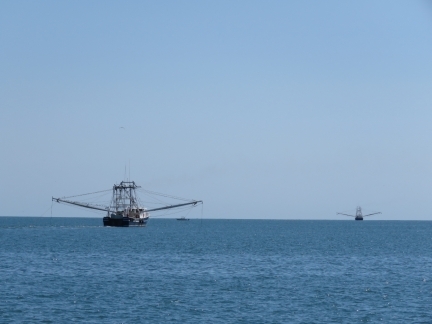 Several large fishing vessels were working the coast off St. Augustine. 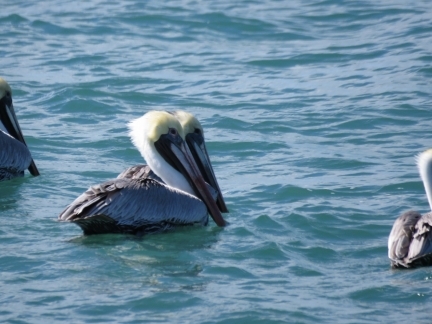 A huge flock of perhaps 200 pelicans also were fishing off St. Augustine. Jennifer sighting the entry buoys as we pass through St. Augustine Channel. 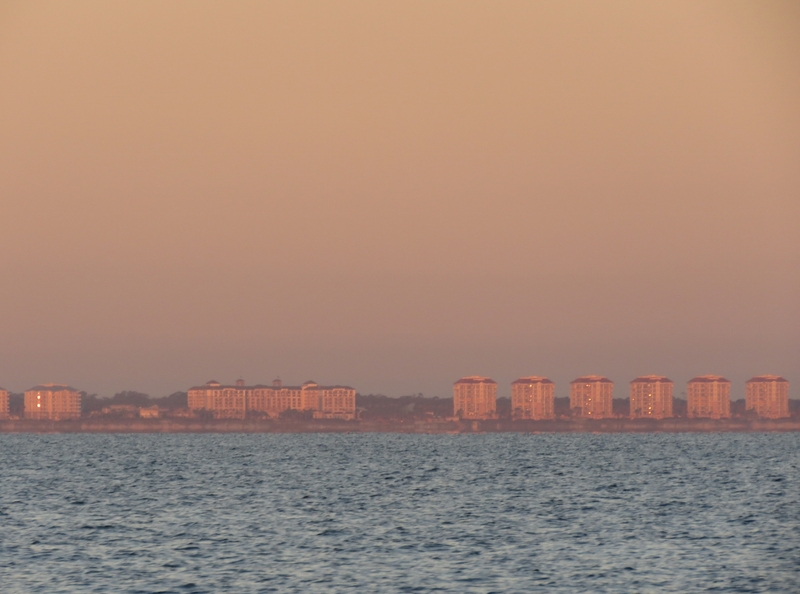 This is one of several shoaling inlets along the US East Coast where the buoys frequently are repositioned to match the channel. We’d read that sometimes the buoys were off-position and that the inlet was closed and impassable after Hurricane Mathew last year, but was now open and passable with all buoys in the correct position. 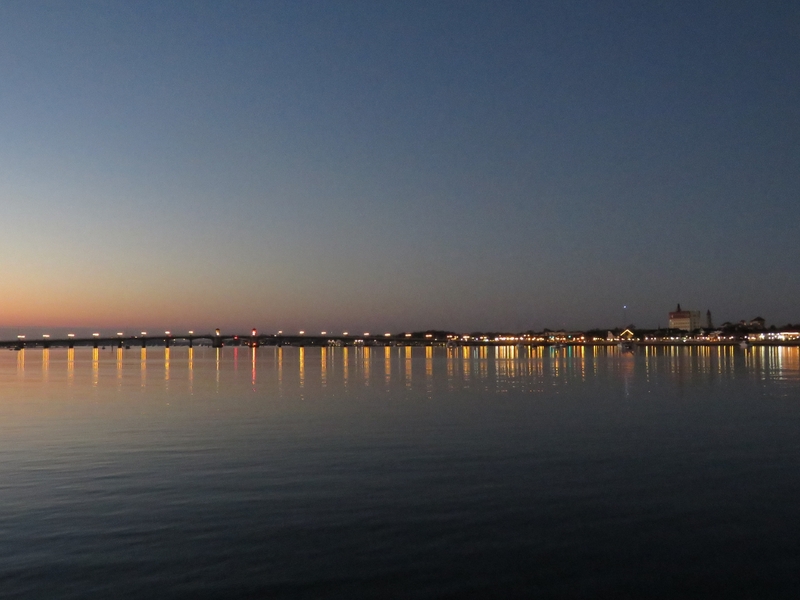 We still were concerned about the entry and had arrived at 4.5ft high tide in calm weather for optimum conditions. 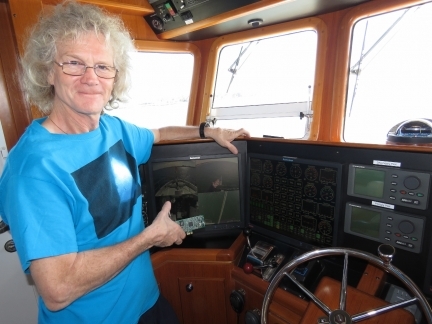 The entry turned out to be relatively straightforward and we saw no less than 18ft all the way through. We’ve been chasing network instability issues since installing the new router a few weeks back. At high network loads, several apps running on the navigation computer lost data for long periods. The new router is a fairly complex combination of open-source and custom software, so naturally we looked there first to resolve these problems. 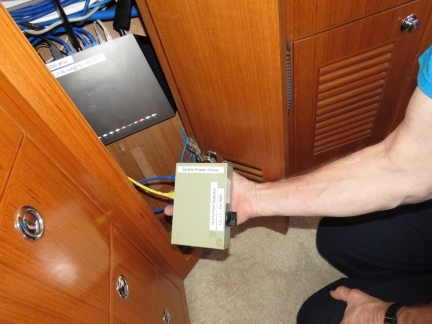 On the way to St. Augustine, we isolated the issue to the navigation computer alone and determined it was a server hardware issue. 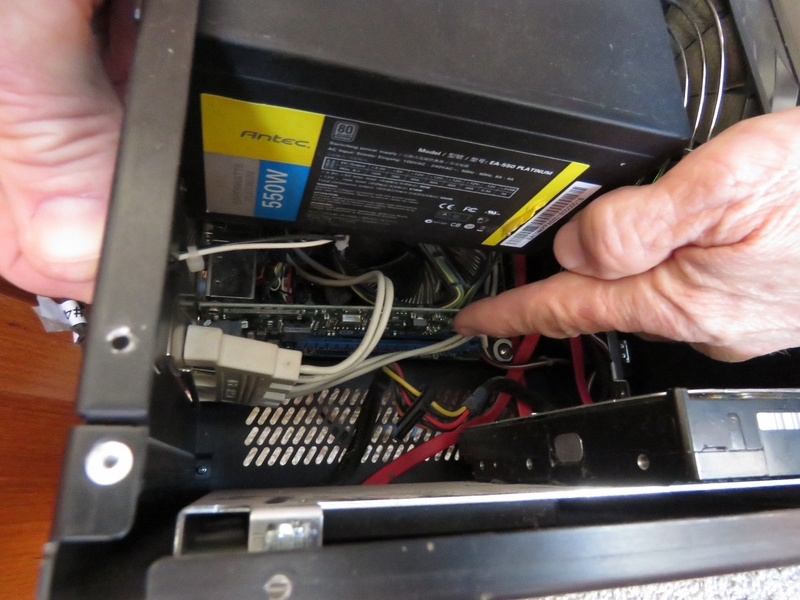 So we tried switching the Network Interface Card (NIC) with a spare when we arrived into St. Augustine. Switching the Network Interface Card (NIC) immediately solved the problem. Our happiness was short-lived as this introduced a new problem: Windows randomly disabled the network adapter once or twice a day and the only way to resolve it was a reboot. A different NIC with a different driver also failed the same way, so we knew it was a lower-level issue. We eventually isolated the problem to a motherboard power issue. Now that we can switch between the three different soureces (WiFi, cellular, or satellite) connected to our router via our Router Control web app, we can ditch the switch-box that originally was required to switch the router source between our WiFi radio and the KVH mini-VSAT system. Nice to see that clunker gone. 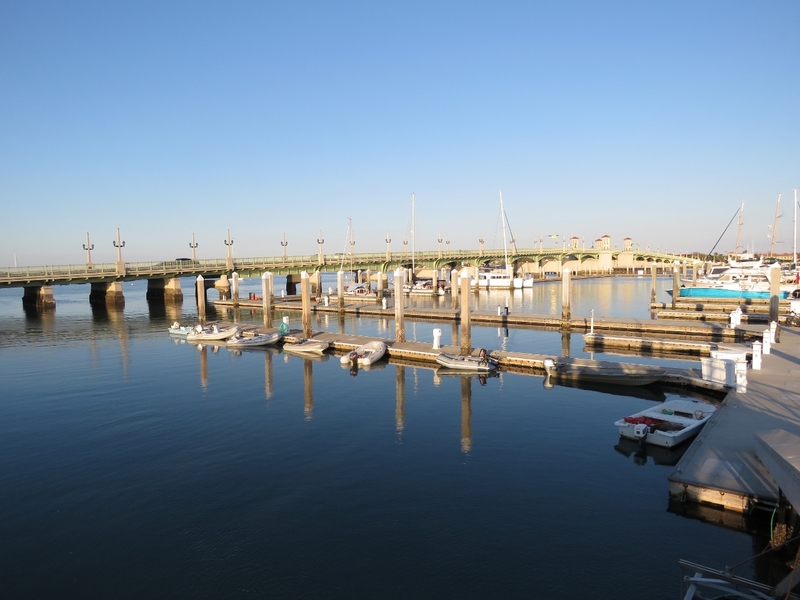 On the dinghy dock at St. Augustine Municipal Marina just south of our anchorage. 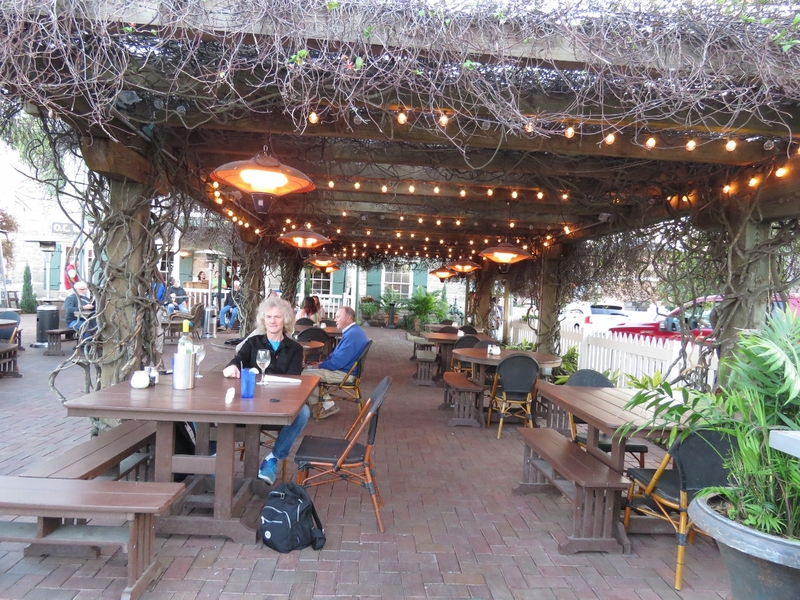 An excellent meal on the patio at OC White Seafood and Spirits in St. Augustine. We’re anchored just north of St. Augustine in a 17ft-deep indent off the channel with just barely enough room to swing between the shallows on either side. It’s a surprisingly sheltered anchorage with excellent views in all directions. 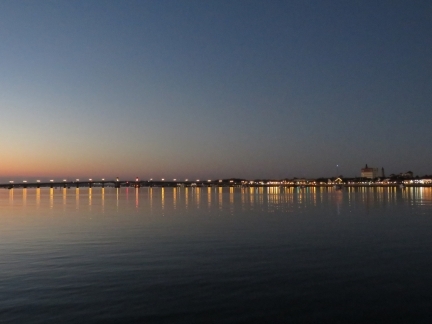 This is the dawn view south to the Bridge of Lions. 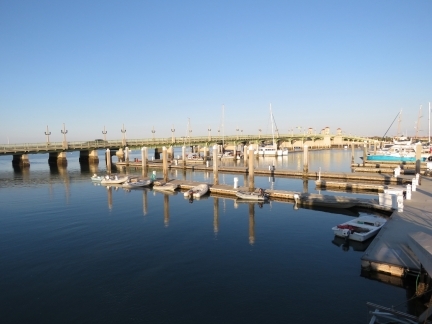 The bridge was built in the 1920s with a pair of lions at each end modelled after the Medici Lions in Florence, Italy. 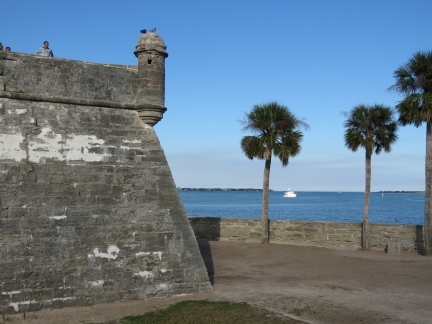 Our anchorage is just off the Castillo de San Marcos, the oldest masonry fort in the US. 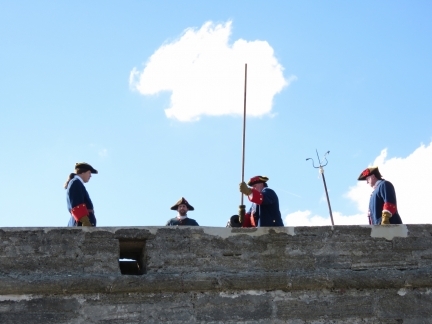 The fort was originally constructed in 1672 when the Spanish controlled the area. The Great Cross of St. Augustine aglow in the morning sun a few hundred feet from our anchorage. 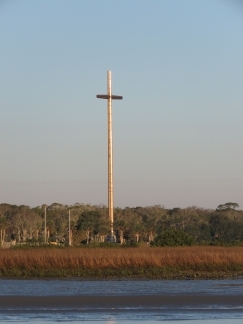 The 208ft cross is the largest in the world and marks the approximate spot where Spanish settlers arrived in 1565 to found St. Augustine. The cross looks wonderful at night, lit from below by powerful lamps. 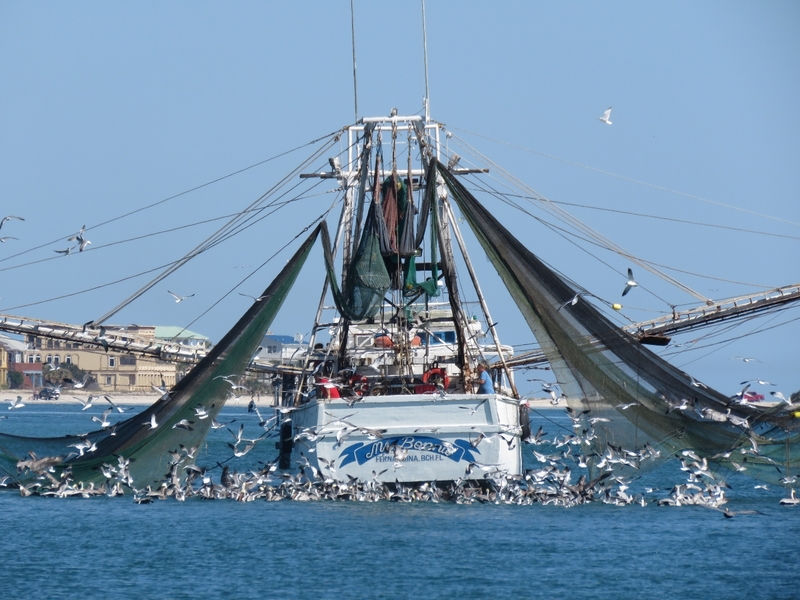 The fishing vessel Ms. Bonnie attracting hundreds of seagulls and pelicans as they shovel fish waste overboard. 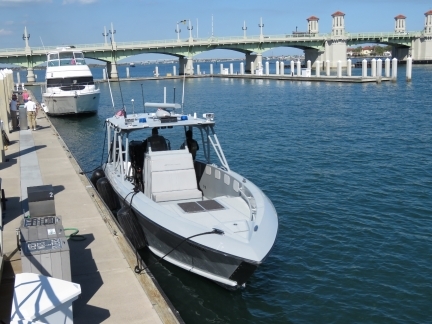 During short time at anchor in St. Augustine, we’d witnessed several enforcement boat chases in and around St. Augustine Inlet. We were thinking that either speed limits were incredibly well-enforced or there was some kind of serious crime concern here. While at the St. Augustine Municipal Marina office, we spoke with a Customs officer who was refueling their boat. He told us that St. Augustine was a training center for marine law enforcement and those were all just training exercises. We had a good lunch with locally brewed beer at A1A Ale Works micro-brewery. 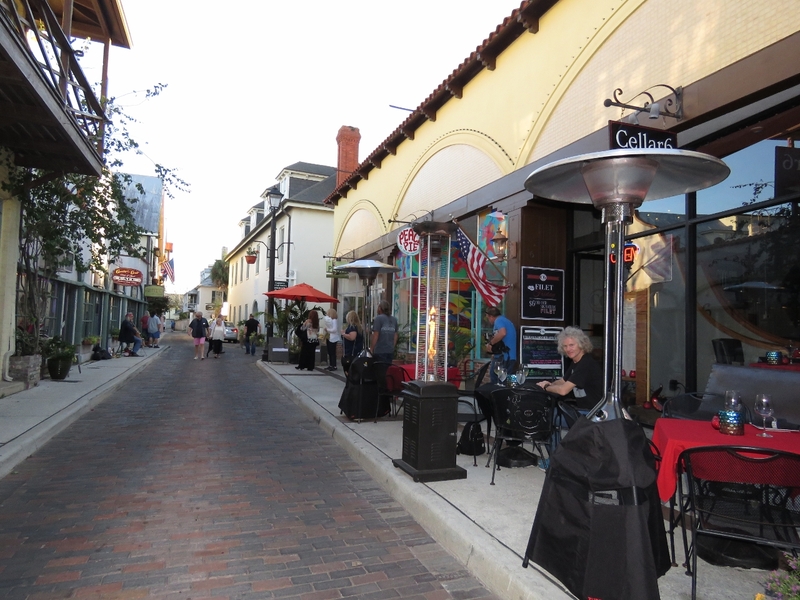 A1A is the roadway that runs along the eastern seaboard. St. Augustine is a very popular tourist town. The streets are full of pedestrians and jam-packed tourist trams constantly circle the town. 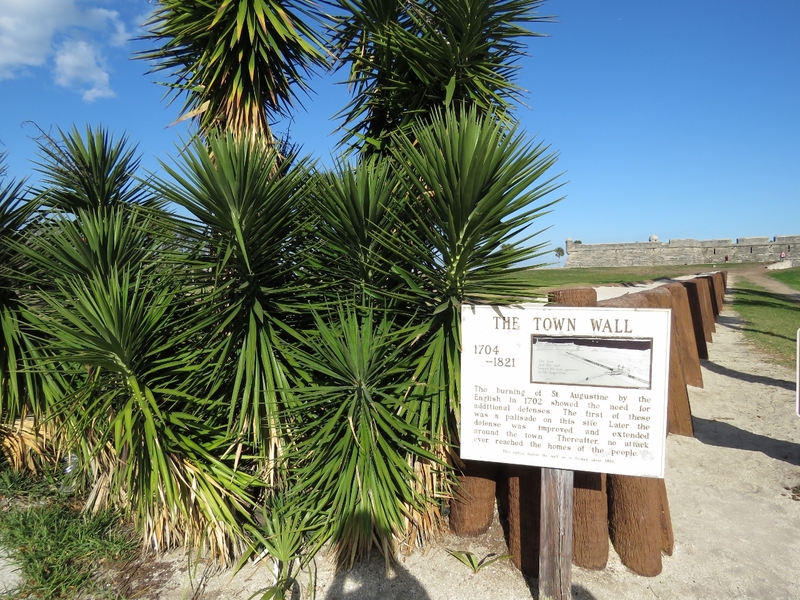 After the British burned St. Augustine in 1702, the Spanish built a wall around the city. The first part was built on this site in 1704. 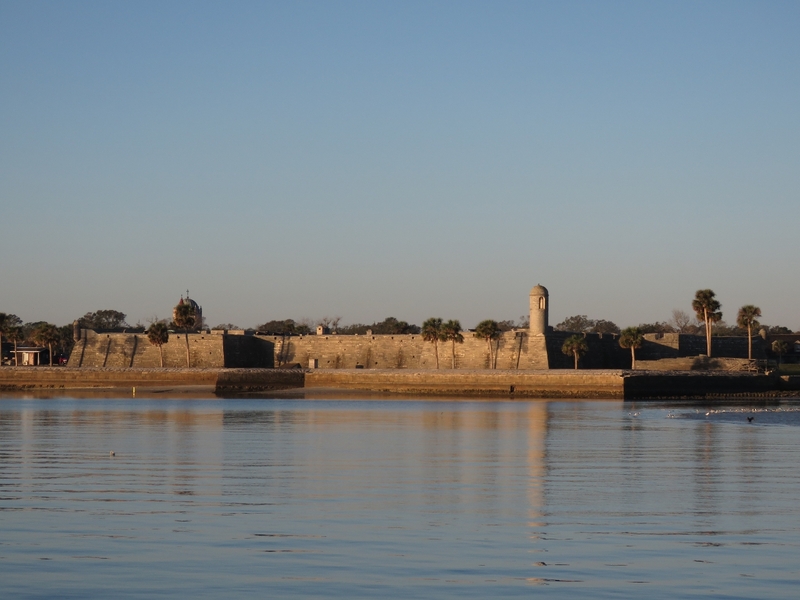 The view east across our anchorage toward out St. Augustine Inlet from the grounds of Castillo de San Marcos. 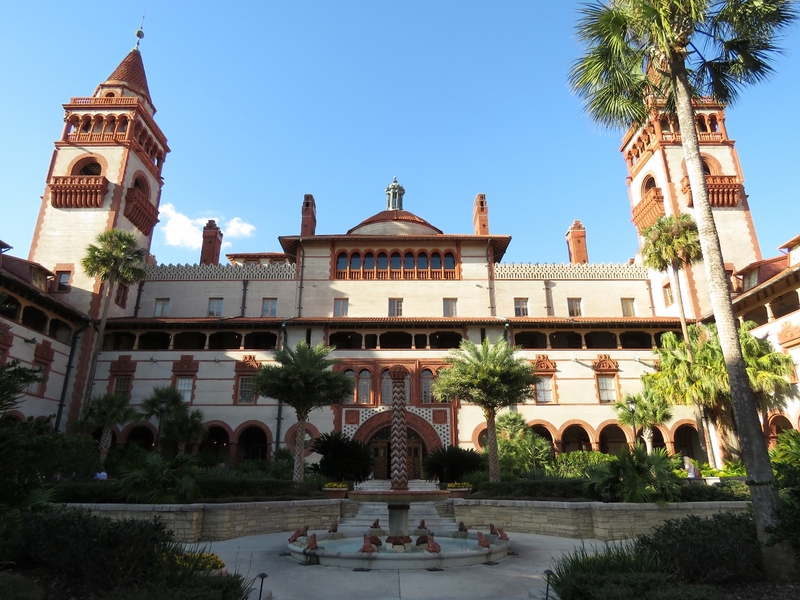 In the 1880s, hotel and railroad magnate Henry Flagler built the magnificent Ponce de Leon Hotel that hosted celebrities from around the world, including several US Presidents. 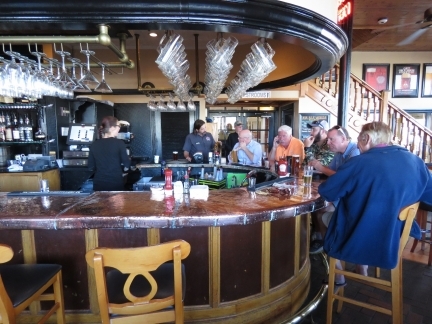 The hotel became a US Coast Guard training center in World War II and now is the home of Flagler College, an accredited liberal arts institution. 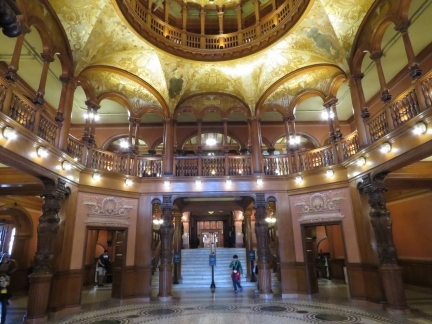 The spectacular grand entranceway of the historic Ponce de Leon Hotel. The Gonzalez–Alvarez House dates from the 16th-century and is the oldest house in Florida. 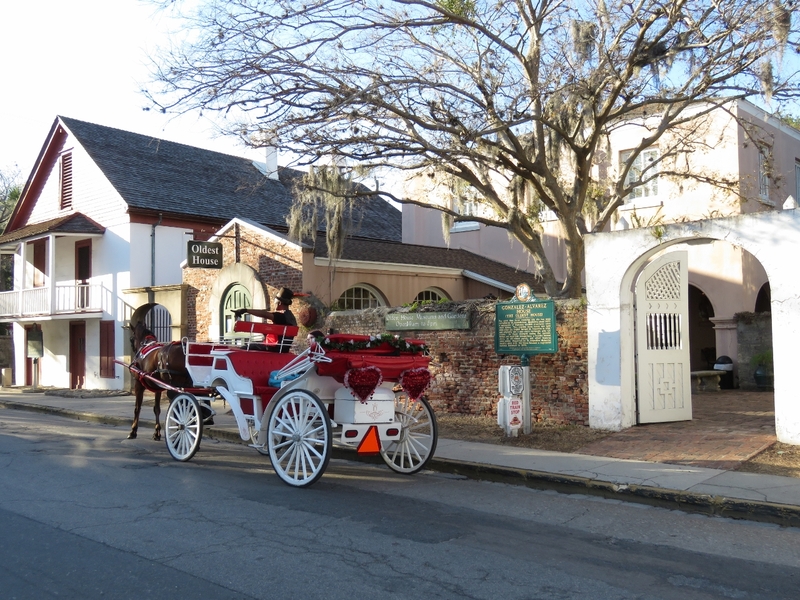 Horse-drawn carriages are another popular mode of tourist transportation in St. Augustine. We stopped for a drink street-side at Cellar 6 and enjoyed the venue so much we ended up staying for a delicious meal.